At Foursquare, we spent the first 8 months of 2014 on our biggest project ever: splitting our two-use-case app into two single-use-case apps. With that giant project behind us, I’m entering 2015 thinking about how to be as effective as I can as a designer in the brave new world of Foursquare. How do I make the most of my time and attention without a huge, looming, all-consuming deadline? How do I best contribute to making what we’ve built over the past year smoother, simpler, and more sustainable? Should we have just kept splitting the app over and over until we had a separate app for each of our millions of users? 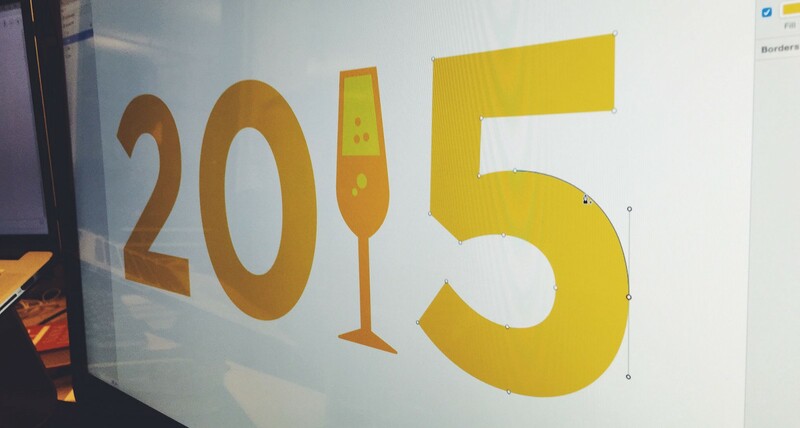 After much weighty pondering, here are my five New Year’s design resolutions. Ugh that sounds obnoxious. For the love of God if you’re at a party and someone asks what you do, never say “I’m a full-stack experience designer.” What I mean is that at the end of the day, the deliverable of my job isn’t wireframes or mocks, it’s user experience. Different projects require different things of me. Sometimes I’m just pushing pixels, sometimes I’m rethinking navigation, and sometimes I’m prototyping interactions in code. But across all those projects, I’m going to hold myself accountable for the full experience a user has. We’re very lucky at Foursquare to have a great research team. One danger of having great coworkers who know what they’re doing is that you just kinda let them do their thing. Over the past year though, I’ve found that the more involved I can get in the researchers’ work, the better. Every minute spent talking directly to real people who use our app yields insights that I come back to over and over again. This year I want to double down on research, try even harder to make it the basis for my product thinking, and rely less on intuition. One of the things I read that struck a chord this year was this post by Cap Watkins about The Boring Designer. It’s worth just going and reading it right now, but the key headline for me is “Choose obvious over clever every time.” It’s very hard as a designer (or really as anyone) to not want to put your personal stamp on the work you do. How else does everyone know how good a job you did? Choosing obvious means being consistent, using familiar controls, and following the style guide. And while that means my personal stamp may be invisible, as a Full-Stack Experience Designer™, as long as the app works I can feel good about myself! If I’m doing UI-level work on a feature, the output is often a mockup of whatever part of the app that feature appears in, maybe with annotations and a few different states shown. One obvious danger of judging a single screen by itself is that it doesn’t illustrate a full, end-to-end use case. Another big issue though is that most of those screens are made of components that are used throughout the app. When we look at a small part of the app in isolation, it’s tempting to make overly-localized decisions, which means those components don’t end up looking the same everywhere. This makes the whole app feel a little more complicated. It’s a lot harder to design the whole system at once, but it’s necessary for clear and consistent interfaces. This year I’m going to focus on finding solutions that work throughout the app, not just in one place. We’re still a relatively small team at Foursquare, but we’re a lot bigger than when I started, and we’ve had to constantly work to make sure we can keep easy communication and idea-sharing part of our culture. For the designers, that means having lots of conversations with lots of people about our work. I love those conversations, and I wouldn’t want to do my job without them, but if I don’t write my thoughts down afterward they usually get lost. I’ve also noticed that nothing makes a good idea travel faster through the company than a concise, well-written position piece. Not an email, a document that everyone can comment on, refer back to, and evolve over time. For designers, a well-written purpose statement can make early sketches and wireframes 100 times more compelling. A big goal for me this year is writing more of these. There are a million other things I want to get better at this year, but these are the most important ones for me. Hit me up in 2016 and I’ll tell you how I did. Thanks to Jon Steinback and Noah Weiss.